The Terminator is back... and he is Asian. Lee Byung-hun stars as the sci-fi action franchise's latest cyborg villain. "Come with me if you want to live!" Terminator: Genisys is the latest attempt to revive the blockbuster sci-fi action movie franchise. The freshly released trailer re-casts and brings back the series' familiar characters, but also adds a yet another new tangle to the doomsday narrative's twisted timeline. I don't know how to feel about this. Between Terminator 3, Terminator Salvation and The Sarah Connor Chronicles, this universe is a bit of a mess. I guess they're just going to keep trying until they can make it work. But Lee Byung-hun as the Terminator? I like it. Why the hell not? He looks badass enough. I do wonder if they'll find an excuse for him to be onscreen without a shirt. They should. Naked time travel science, you know. 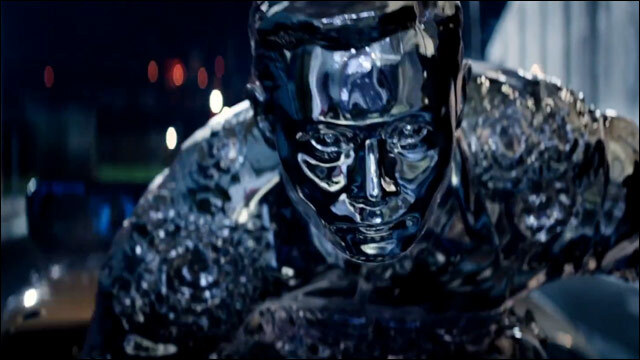 Terminator Genisys is set to hit theaters on July 1, 2015.